Bass Angler – Every Fish has an Angle, too. Greetings fellow fishing anglers and welcome to another Rusty Angler. Those new to the fishing world often use the terms “angler” and “fisherman” interchangeably. But we know better, and the difference is important. In short, a fishing angler is a sportsman who is working hard to up his game and be the best. A fishing angler respects the fish, the environment, and the equipment that makes his sport exciting and fulfilling. Like all sportsmen, he uses the right equipment and works to win. A fisherman simply goes to the water, puts bait on a line, and hopes to catch something he can eat. That’s it. 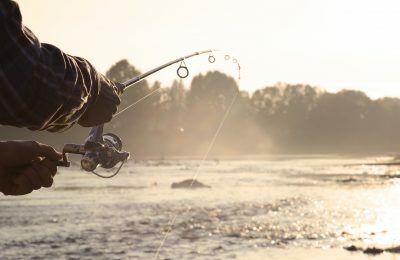 An angler, on the other hand, uses the right equipment and the right techniques to catch trophy-worthy fish. So with that in mind, let’s look at what anglers there are, what they use, and where to find the best deals you can get on the equipment you need. Be the Bass. Be the Bassmaster. Bass are one of the most sought after fish for fishers. They are plentiful, fairly easy to catch and tasty. However, bass anglers know that bass are also some of the best gamefish around and are exciting to catch. There’s a reason you can find so much information with so many articles and equipment for bass anglers. 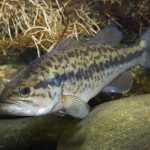 Bass angling is a big business in the USA and it’s easier to get lost in the weeds of research than it is to get caught in the weeds of a bass hollow. Have no fear, the Rusty Angler has your rear, uh, back. A successful bass angler knows to read Bassmaster magazine and Bass Angler magazine. Both are good sources of information and insights on a regular basis. To know what you need, first you have to know what you want. If you are a bass angler, you want big bass. Period. Now you just need to decide if you are going to catch that monster from shore or from a boat. Most anglers believe you need a boat to catch the big bass. Almost every city has an angler boat company claiming their boats are the reason you can catch that monster bass. Offshore anglers know that just isn’t the case. 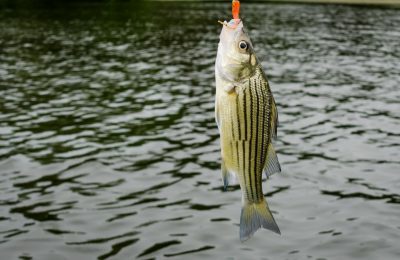 Boat anglers hate July and August, when the weather is hot, the water is hot, and big bass disappear from reliable spots. 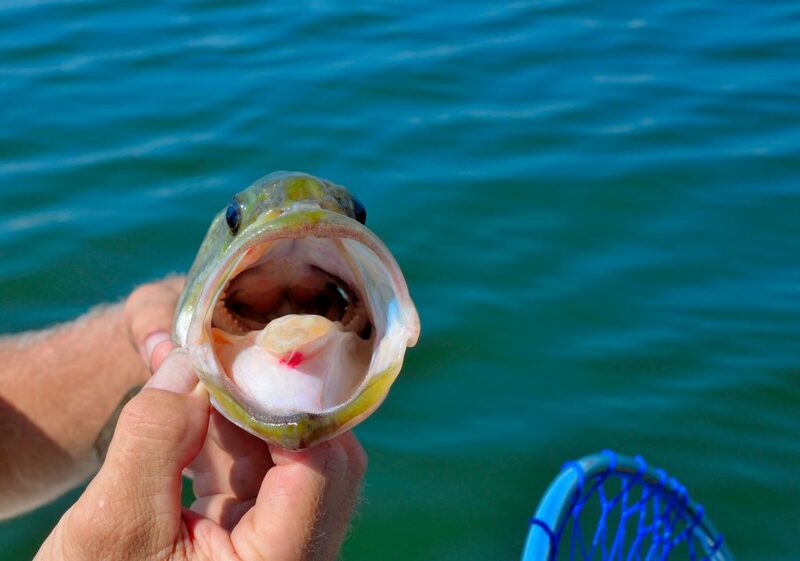 This is when the offshore bass angler gets excited. With the heat, the large trophy bass move to ledges and other drop offs. Depths can be between eight and 20 feet as the river channel meets the shoreline. A good electronic mapping device with the right crank bait and spinners means you can still score bragging worthy bass during the dog days of summer. Then, when the weather gets cooler, return to your boat and keep on fishing. The fact is, it doesn’t have to be one or the other. You can play or you can compete – Time to Win! Like I said earlier, an angler is defined by the goal of catching award winning fish. That means eventually, like all competitors, you are going to want to compete in a tournament. Enter Anglers Dream. Anglers Dream is the website for finding information on all the bass fishing tournaments in your area. Use this page to find the events and the rules of each one. You can also find good information there on some of the best bass fishing spots in your area as well as tips on the best equipment and gear. Since each location has its own peculiarities, one website that offers this type of valuable insight is fantastic. In addition, you can go to places like Idaho Angler where you can get tours, training, and practice from masters at the art of bass fishing. Bass fishing equipment is a multi-billion dollar industry. That means there’s fantastic equipment out there, but also lousy equipment out there that’s advertised as fantastic. When you look for gear and tackle, don’t get caught in the hype. Make sure what you get is what you need. 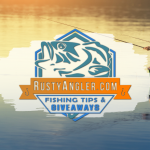 Coming back to the Rusty Angler to enter the latest fishing giveaway means you have a chance at winning the top fishing gear on the market today. For example, you can find loads of sites selling “angler sunglasses.” If you’re like me, your first thought is, “what makes these different from every other pair of polarized sunglasses?” The answer is, nothing. Polarized sunglasses help reduce glare and keep the colors and movement of water down which makes it easier to see the water, your line, and find fish. That’s true of all polarized sunglasses. Don’t let them charge you an extra $50 because there’s a fish logo on the frame. Fishing angler backpacks are similar. Such a backpack is simply a good quality pack with some tackle containers inserted. If you already have containers, then any high quality pack will do the job. Just make sure it has what you need before you plunk down a bunch of cash. Gear, on the other hand, is more important. 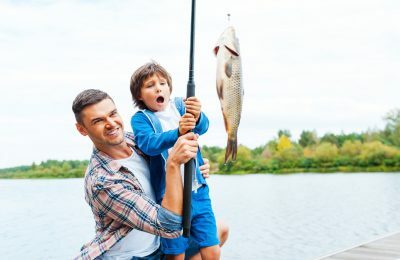 A good angler reel will fit the size of fish you are after, the water you are fishing – salt or fresh – and will have a smooth action that allows you to control the line and the fish on the end of it. While you need good gear, you don’t need to break the bank to do so. 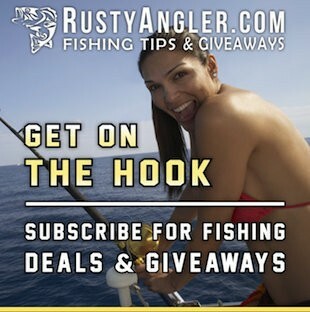 Here at the Rusty Angler we believe in fishing giveaways, fishing sweepstakes, and fishing promotions. While a fishing giveaway might land you some free swag, we are a firm believer in promotions. A great fishing angler would love to win a prize like a Shimano Metanium MGL Baitcasting Fishing Reel and St Croix Legend Extreme Casting Rod. As we mentioned before, this is a huge business. That means there’s a lot of competition for your money, and competition means good prices for you. Companies have fishing promotions all the time to attract new buyers. I find that anglers are traditionalists at heart. That means when we find a company we like we tend to stay with that company. That becomes a trait that is useful to the thrifty angler. Companies want those relationship with buyers, which means they are willing to give fantastic promotional deals to hook them for a lifetime. So take advantage of that and check for free and reduced gear before you go to a company’s web site and pay retail. That’s all for now. 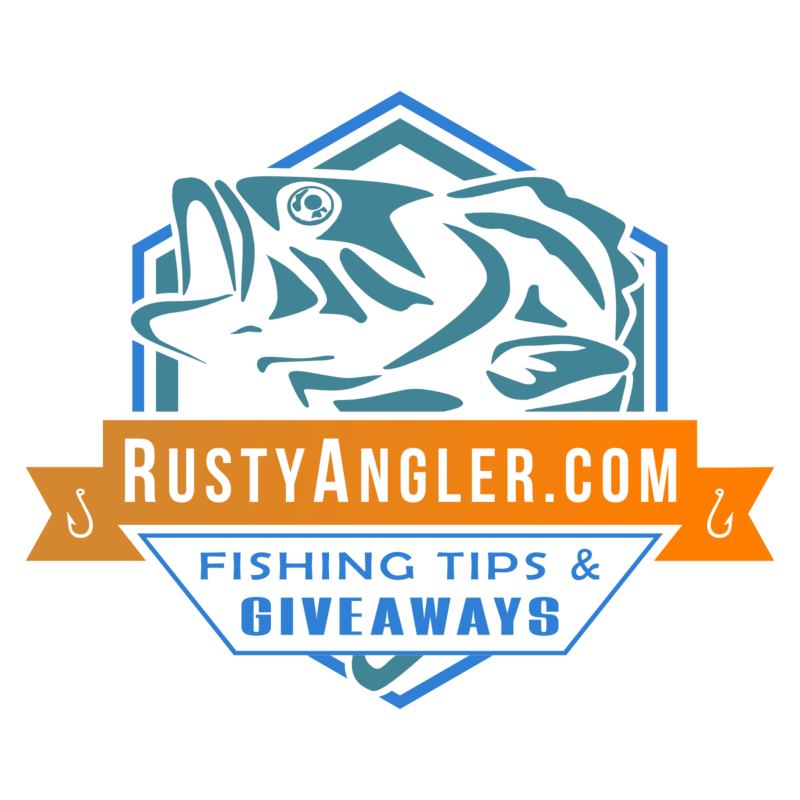 As always, get your rod, get your reel, and get your Rusty Angler giveaway entry in and share for more chances. To our fishing angler–It’s time to get out there on the water. Happy fishing!